Barrett of 22 Redhaven Ave Charmhaven NSW 2263. (27) The Sydney Morning Herald - 17 Nov 1897 - Page 12, Newspaper - Funeral Notice - Robert Ernest Luck (17 Nov 1897). Eliza Grant as James Grant, occupation: Labourer. being a member of a family. -Relations in the Colony: Stepfather, William Young living in Sydney. was living at the same address as her husband Joseph during this time. Eliza's name is noted as Mrs. J Luck. Eliza being employed by Joseph to care for his children. Sydney. 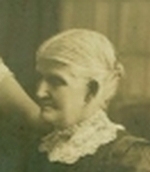 Her real father James Grant had passed away prior to their emigration. herself, as Eliza Ann Grant was noted as travelling alone. Note (14) Death Certificate notes fathers name as William Grant.